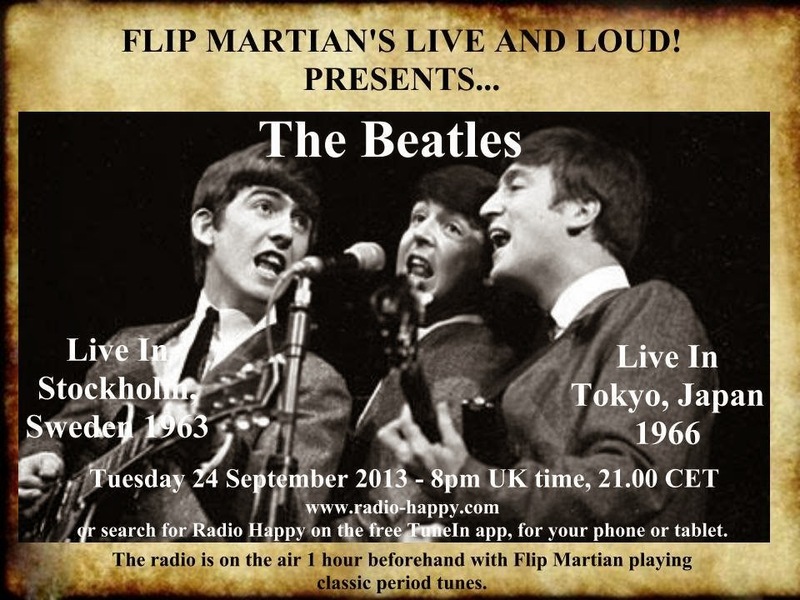 Two recordings for the price of one - from Swedish radio on 24 October 1963, recorded (as you'll hear) in front of a live audience the Karlaplan Studio, and from 30 June 1966 at the Budokan Hall, in Tokyo. Rather than me waffle on and repeat information already elsewhere, there's a web page about the performance on Swedish radio here. Suffice to say, John Lennon apparently thought it was the best live recording there ever was of the Beatles. The second recording from the Budokan was possibly a radio broadcast at the time - soundboard recordings are usually known for the audience being quiet and they're certainly not here! Featuring live renditions of "Yesterday" and "Nowhere Man" its an interesting snapshot of The Beatles just as they were about to give up live tours altogether a couple of months later. Not always easy to find good live recordings of the Fab Four so I'm looking forward to giving this a spin. Many thanks for your efforts.